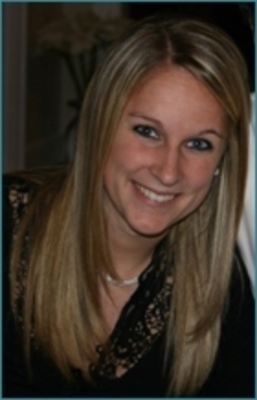 Dr. Jill Viglione graduated from the CLS PhD program in 2015 and is currently an Assistant Professor at the University of Central Florida. Her primary research interests are correctional interventions, evidence-based practice implementation, individual and organizational responses to policy reform, and decision making within criminal justice agencies. While at Mason, Dr. Viglione worked as a graduate research assistant at the Center for Advancing Correctional Excellence (ACE!). Dr. Viglione's dissertation, entitled "Bridging the Research/Practice Gap: Street-Level Decision Making and Historical Influences Related to Use of Evidence-Based Practices in Adult Probation," included observations, interviews and surveys of probation staff to examine how probation officers understand, define, and adapt evidence-based practices to their existing organizational routines. In support of this study, the National Science Foundation awarded Dr. Viglione a Doctoral Dissertation Improvement Grant. She also received a National Institute of Justice Graduate Research Fellowship to support her dissertation research. In addition, as a research assistant at ACE!, Dr. Viglione spent hundreds of hours observing, interviewing, and collecting data in many different criminal justice agencies, including probation and parole agencies, courthouses, prisons and jails, as well as working with correctional professionals on implementation of effective practices. She also taught several courses while at Mason, including CRIM 210, Introduction to Criminology, and CRIM 402, Punishment and Corrections. In 2013, Dr. Viglione was awarded the Dean's Challenge Fellowship in recognition of her many achievements at Mason. In addition, she received the prestigious National Institute on Drug Abuse (NIDA) New Investigator Travel Award for travel to the Addiction Health Services Conference held in New York, NY in October 2012. At this conference, she presented research exploring how the implementation of contingency management in problem-solving courts shifts the traditional roles and team dynamics of the courtroom workgroup.